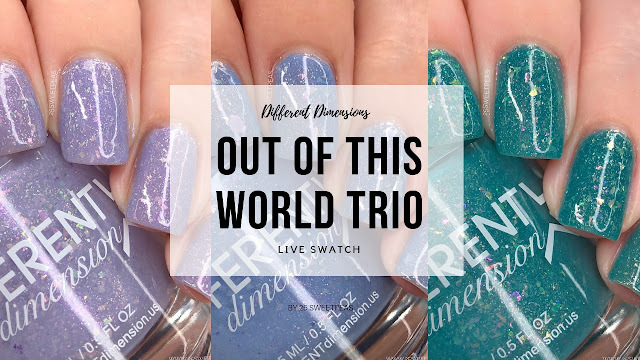 First up we have the Out of This World Trio, which consists of 3 different crellies all filled with the same sorts of flakies. All of them have consistent formulas and apply very nicely and evenly so lets check them out. A turquoise crelly with added aurora shimmers, iridescent color shifting flakies, and holographic microflakies. 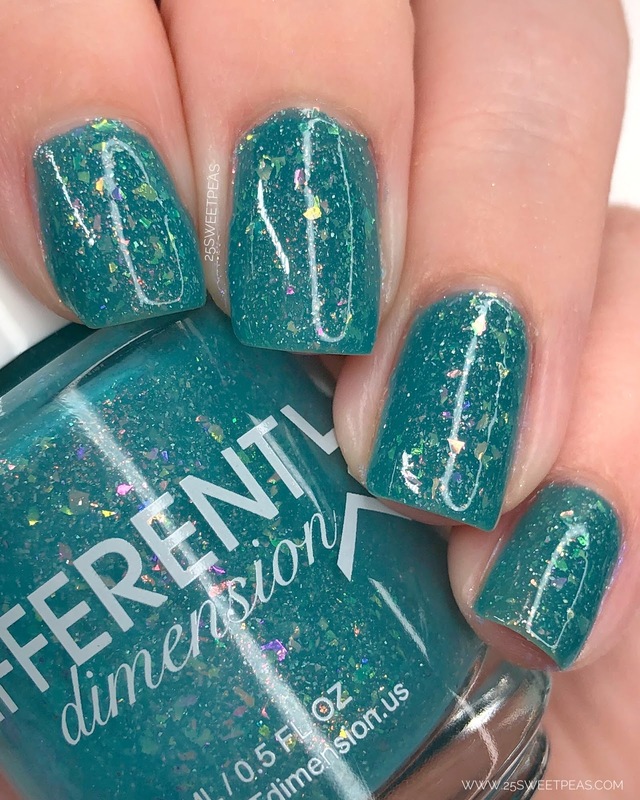 This polish is so pretty, as a nice teal crelly like feeling base with the irridescent flakies it all just works together very nicely. The first coat goes on this one goes on very pigmented actually, but I feel like the 2nd and final coat really just completes it. Overall great formula and ease of use. A periwinkle crelly with added aurora shimmers, iridescent color shifting flakies, and holographic microflakies. 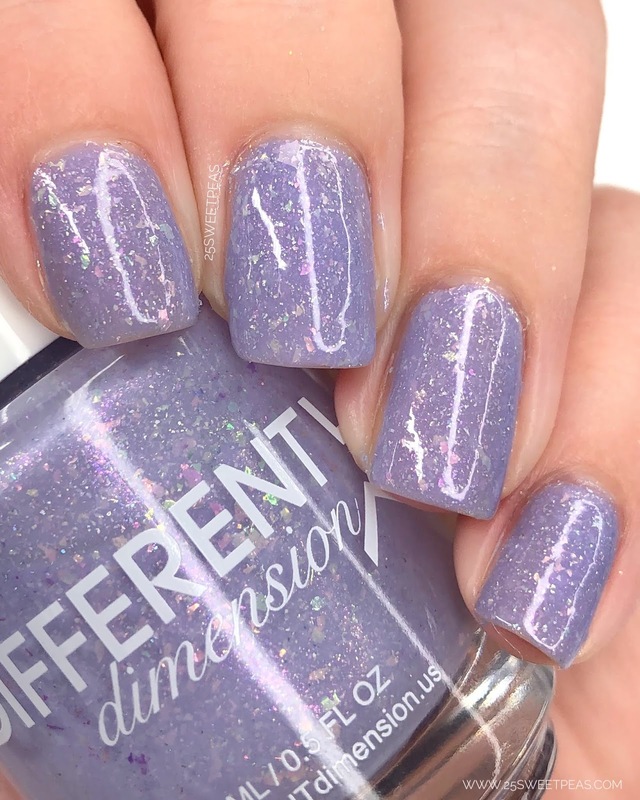 Another lovely one and while its described as a periwinkle, I actually get a bit more lavender from this one. 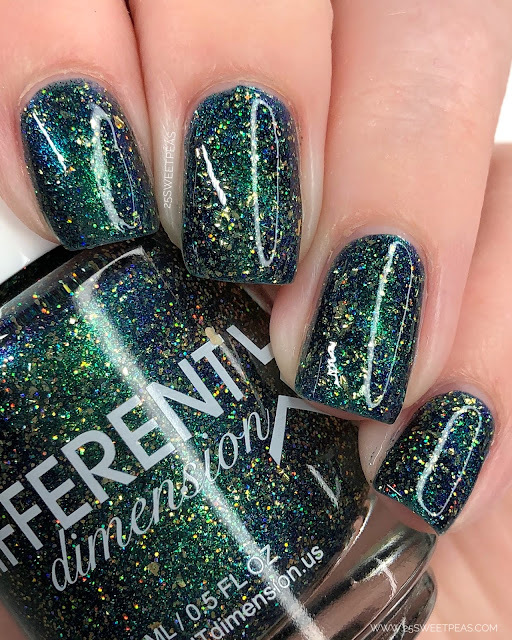 Its really beautiful, and again the flakies sit in it so nicely. 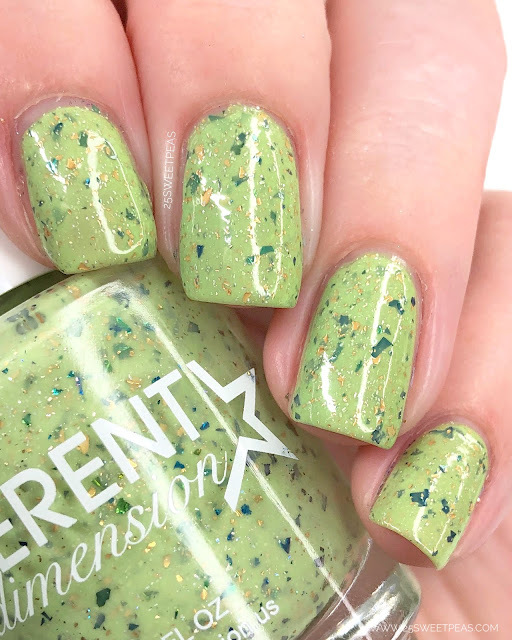 This one does have a bit of a more sheer first coat, but the second coat brings you up to full coverage for sure. 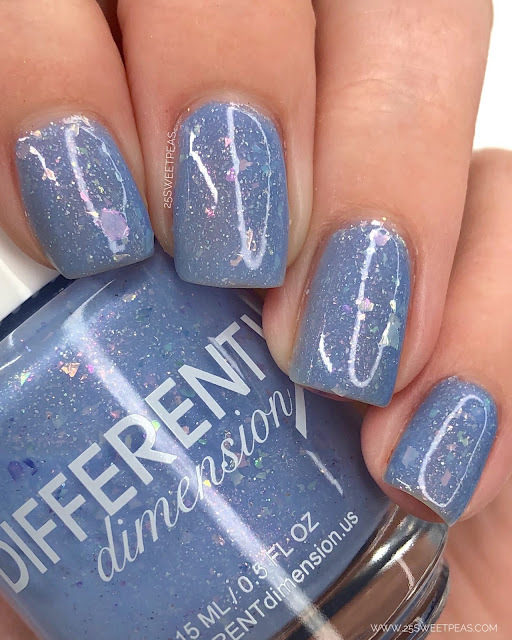 A baby blue crelly with added aurora shimmers, iridescent color shifting flakies, and holographic microflakies. This is almost what I would consider a periwinkle, but definitely leans a bit more blue. 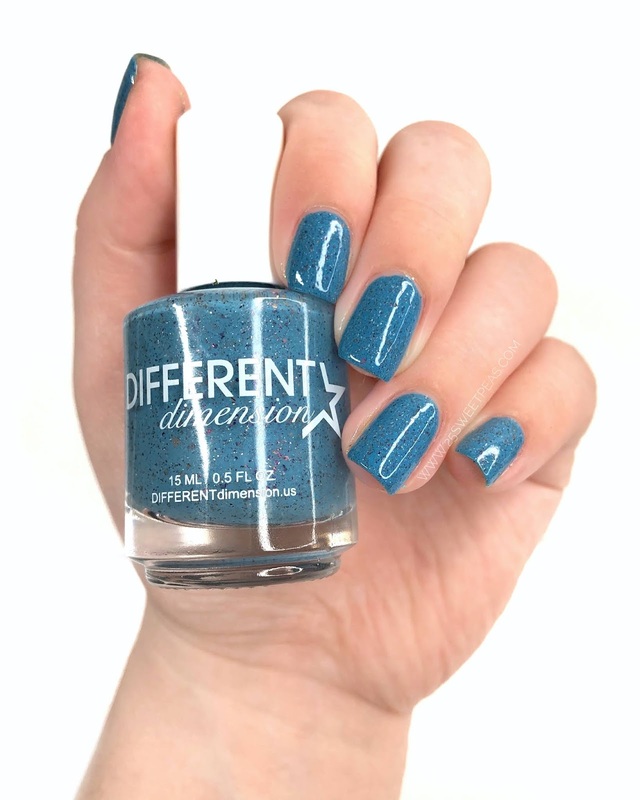 Its a lovely color, and covers perfectly in two coats. Like the last one, this ones first coat goes on a lil sheer, but then covers completely with the second one. 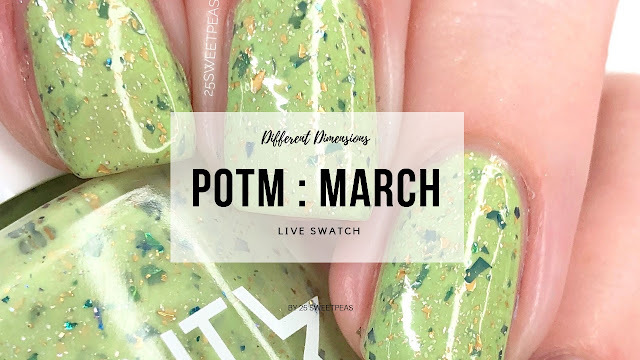 Now we are going to check out the March Polish of the month which is a really fun crelly. 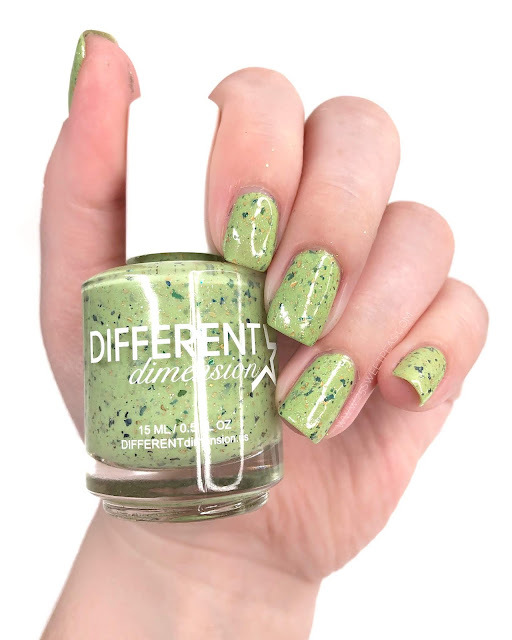 This polish is so nice, it has an excellent creamy formula that glides on perfectly in 2 coats. I love the specks in it and the combo of greens and a touch of gold. Now we are on to the current month of April. 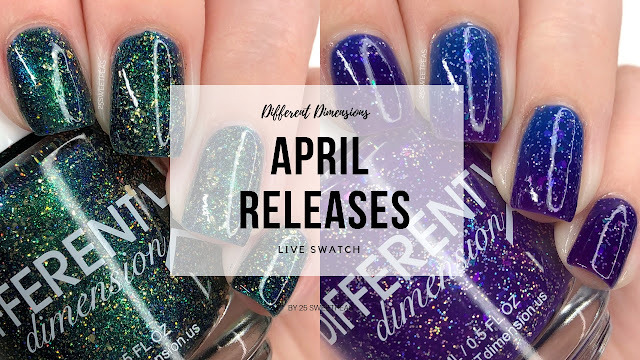 The polish of the month for April is also a crelly and really lovely! Lets check it out! 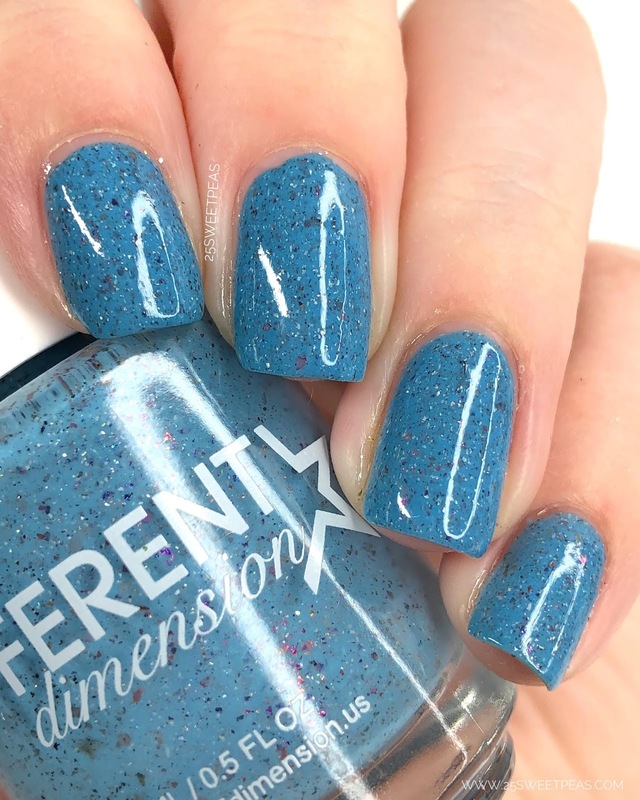 A sky blue crelly with added ucc flakies and holographic microflakies. 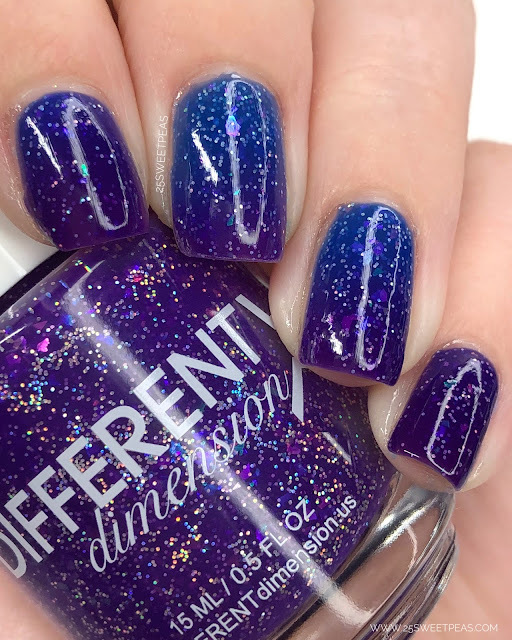 Another fabulous crelly that has smaller pops of colors in it. This also applies perfectly in two coats. Now we have a few bonus releases that are also releasing, each of these have some sort of special effect and different purpose. One if in honor of Autism Awareness, and the other is for Earth Day! 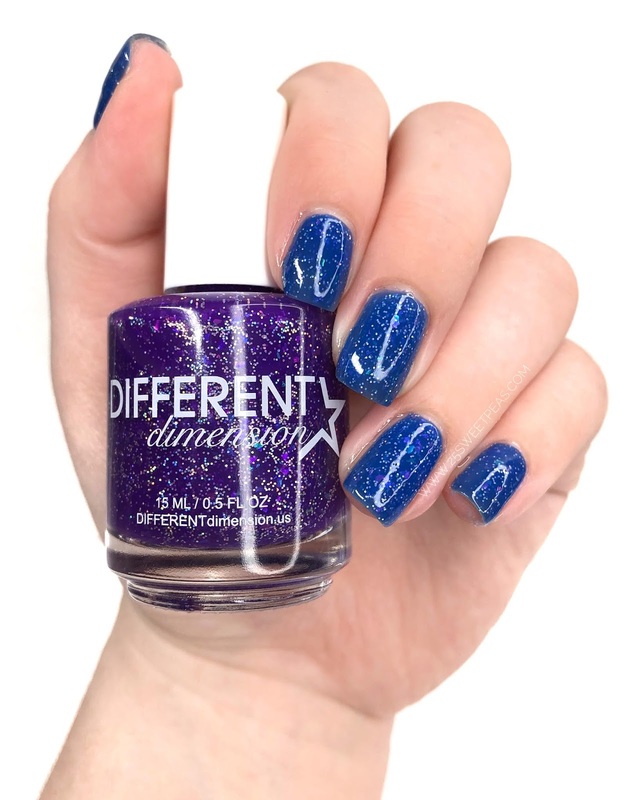 A navy based blue to green to purple magnetic multichrome polish with gold flakies and gold holographic microglitters. Ok let me just start with WOW! 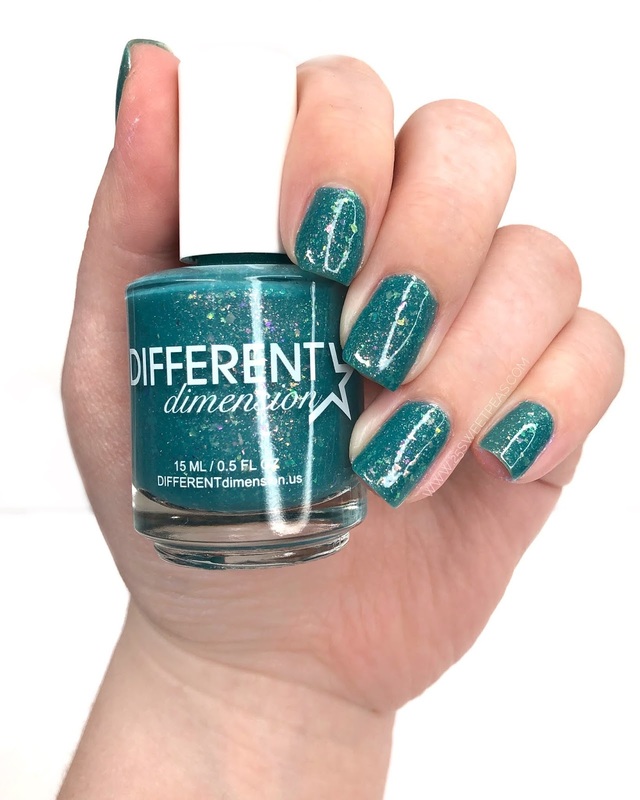 This polish is fabulous. There is so much going on in it from the micro glitters to multichrome, there is just so much to see. Then add the magnetic aspect and WOW! This one is said to not have a really strong effect but I feel like I can see it pretty well. The formula was great and can be full coverage in 2 coats. If you don't want to wear 2 coats of it, many pair magnetic polishes on top of back and you could easily do that. $1 from each purchase will be donated to the Autism Society of Indiana. 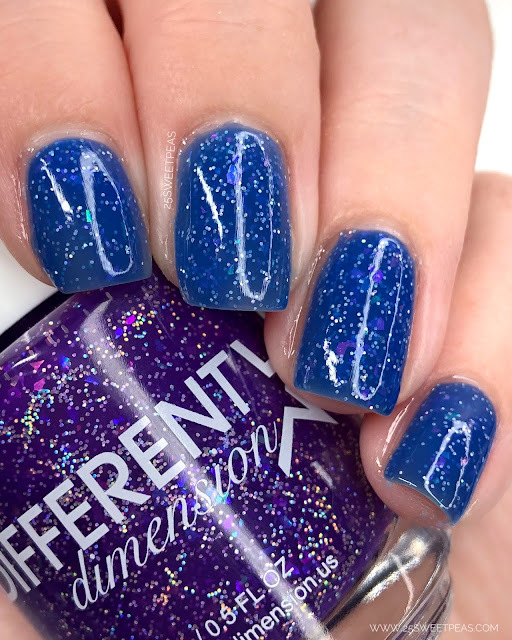 Now we are on to a thermal, and again WOW! I love a good thermal and this is an excellent thermal. I love the strong dramatic thermal change, and I also love how reactive/quick it is. You can actually SEE it change in real time 2 times in my swatch video. It's really mesmerizing. 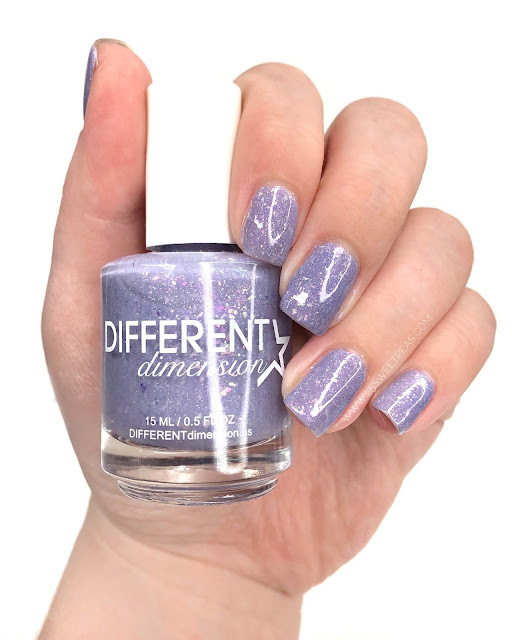 This covers perfectly in 2 coats, has a fabulous formula. 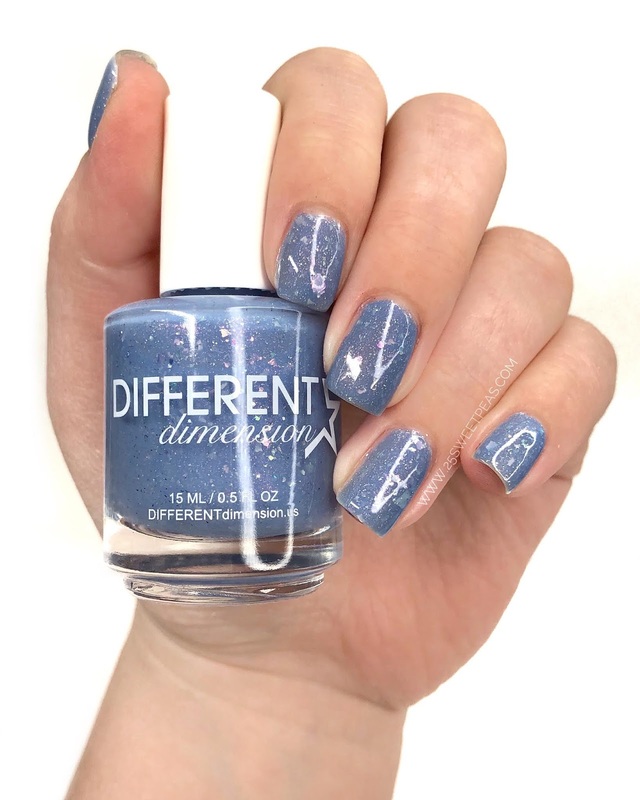 Really I'm just obsessed with this polish! Well everyone, thats a wrap for this post! Whew, that was a lot I know! Below is a quick lil release guide to the polishes. 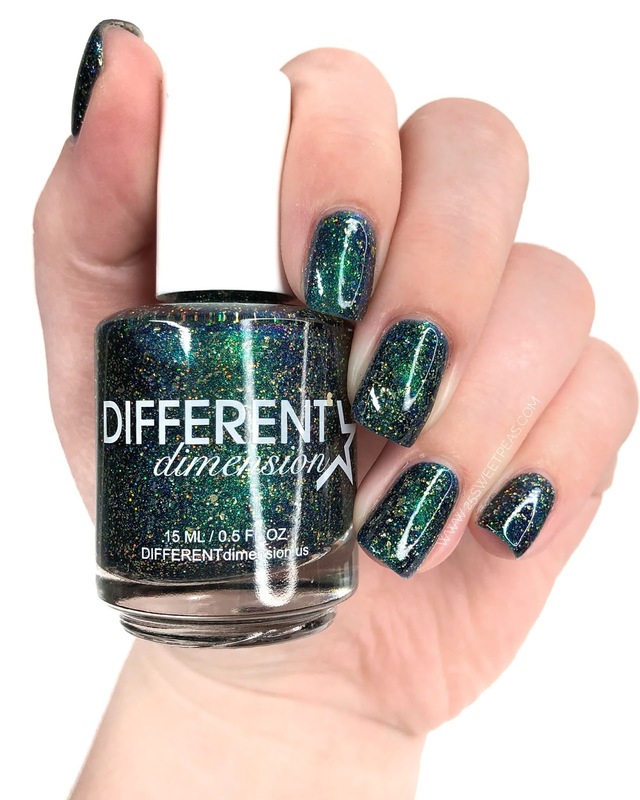 You can click the shop button above to head over to the different Dimensions Shop! Hope you have all enjoyed these polishes, and all of the videos! Its a fun bunch of polishes isn't it?! Let me know what one your favorite was down below! Hope you are all having a fabulous day, I will see you back here very soon!